Please contact our friendly consultants for any questions you might have. *Overseas callers please use Whatsapp Call. 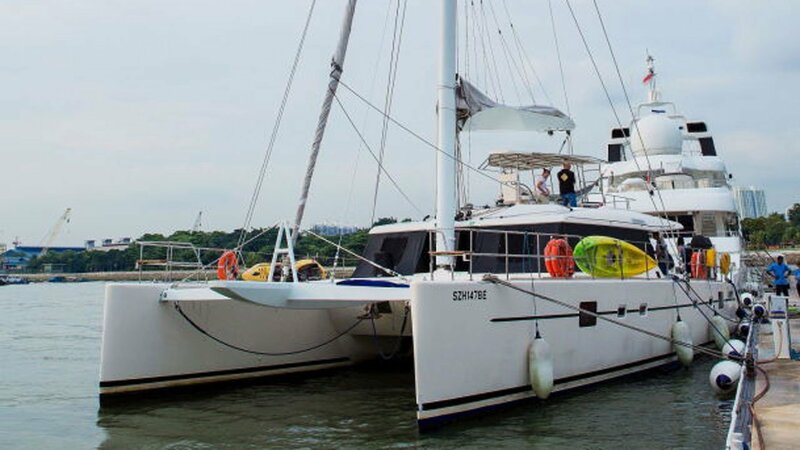 Charter fee includes the services of the Captain, crew, fuel, exclusive use of the yacht during the charter period and its standard water toys. What are the payment terms like? Can I place a deposit? Full payment is required for the reservation of the yacht charter. Booking shall only be confirmed upon receipt of full payment. What are your cancellation and rescheduling policy? Please refer to point 5.7 and 5.8 in our terms and condition. What happens if it is raining or there is haze? We reserve the sole and exclusive right to cancel the charter if the captain in his reasonable opinion declares that the sea conditions are not suitable for the charter TWO (2) hours prior to the scheduled yacht charter and there are reasonable concerns over the safety of personnel and yacht. The captain of the yacht at all times has full authority over the safety of the yacht and personnel and at any time can terminate such charter and return to the marina where, in the reasonable opinion of the captain, there is reasonable possibility of danger to the yacht and personnel. If such an event is due to technical reasons, TYC will apply the cancellation policy. Usually the captain will try to delay the charter to avoid any rescheduling if it is possible. What other situations will the charter get cancelled? If there is any unsafe behaviour (e.g. excessive alcohol consumption) of the charter guests during the charter, which shall be at the sole discretion of the captain, there will be no cancellation refund. TYC reserves the sole and exclusive right to recall the vessel upon the forecast or occurrence of severe weather. If charterer elects to prematurely end the charter, the charter is deemed cancelled and there will be strictly no refund. Once the yacht has departed the Marina, the charter is considered to have been fulfilled and no cancellations or refunds are provided. Do I need any passport? No, the yacht will be sailing in Singapore waters. It is required only if you are travelling to other countries such as Indonesia or Malaysia. Are there any ice box? Yes, each yacht have their own individual large ice box which can contain around 40kg of ice. I do not know how to swim. Is it safe for me? The yachts have life vests for all its guests. You can request for a life vest if you wish to take a dip in the sea. What’s the earliest timing I can board the yacht? The recommended timing is 30 mins before your charter timing. Is there any music on board? The yacht have its sound system on board and there will be a ear phone jack for you to plug in your phone to play your own music. Can I bring my pets on board? Pets such as dog/ cats are strictly not allowed on board. Why do you include a child’s headcount at the same rate? The charter fees are charged according to its passenger limit.